With the growing interest in essential oils, many people are learning more about the benefits of these prized oils. If you are new to the world of essential oils, it can feel overwhelmed to get started. We have compiled a helpful guide outlining some of our favourite ways to use the Essence line of essential oils from Isagenix. Read on to learn the benefits of some of the Isagenix Essence oils and how to use them for best results. Lavender oil is well-known and versatile, with a popular, light floral scent that is delightful when diffused. In addition to being diffused, lavender can also be applied topically to help soothe tight muscles, calm irritated skin, and even reduce pain. Perhaps its most popular benefit is lavender’s ability to promote a restful night of sleep and help calm feelings of anxiety. Just like a certain scent can evoke a particular feeling or memory, the aroma of lavender essential oil can help promote feelings of relaxation. This increased feeling of relaxation and calmness can be especially beneficial at bedtime. In fact, studies show that certain essential oils (with lavender being the most studied) may serve as a safer alternative to pharmaceutical options for dealing with mild to moderate sleep disturbances. 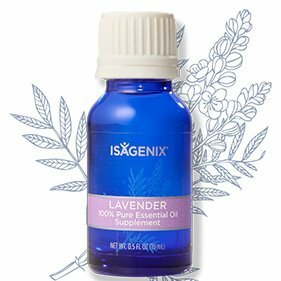 TIP: Consider diffusing Isagenix’s lavender essential oil at bedtime as part of a calming, sleep-promoting routine. Rubbing a drop or two of lavender oil on each wrist or on your temples is another excellent option for creating a more relaxed bedtime atmosphere. This ancient oil, also known as the king of essential oils, boasts a multitude of benefits. With its powerful properties and deeply aromatic scent, frankincense is ideal for promoting feelings of wellness and relaxation. It is also thought to help support cellular and digestive performance when used internally and support skin health when used topically. Essential oils, including Frankincense, have even been found to help decrease feelings of anxiety. TIP: To make your bath extra relaxing, try adding several drops of Frankincense essential oil to your bathwater. 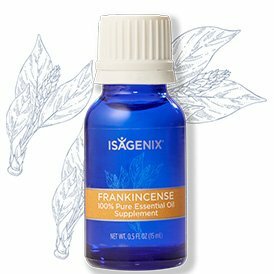 Or try diffusing 8 to 10 drops of Frankincense essential oil to help unwind after a stressful day. Tea tree oil’s fresh scent and cleansing properties make it ideal for freshening the air in your home and as a natural cleaning solution. Although it is not intended to be consumed internally, there are a host of other ways to use it. TIP: For topical use, consider adding a drop or two of tea tree oil to your shampoo to help provide a deep clean for your hair and scalp. To make an easy homemade natural cleaning solution in just 5 minutes, follow the directions below as taken from Detoxinista.com. Add the water, tea tree oil, and vinegar to a spray bottle and shake until combined. Use throughout your home as you would with any other multi-purpose cleaner. 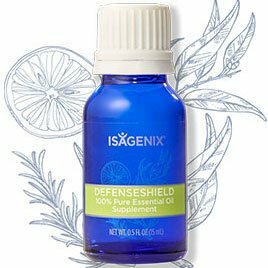 DefenseShield boasts a unique, carefully designed blend that helps support the body’s natural antioxidant defenses. Featuring a potent blend of lemon, rosemary, cinnamon bark, clove, and eucalyptus oils, this powerful mix helps purify the air and energise the body. Topically, DefenseShield helps fight against environmental free radicals and promote circulation. Internally, it can help support the immune and respiratory systems along with the body’s natural defense mechanisms. TIP: Consider adding a drop of DefenseShield to your IsaLean Shake as a way to guard your body against free radicals, promote circulation, and help boost your body’s natural ability to defend itself. Topically, try adding 10 drops of DefenseShield (diluted with Isagenix Coconut Application Oil) to your desired area. This blend is also excellent for use in your diffuser. 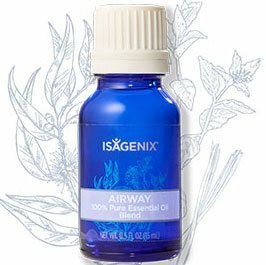 With a warm, spicy, outdoor scent, it fills the air with an invigorating, enjoyable scent. 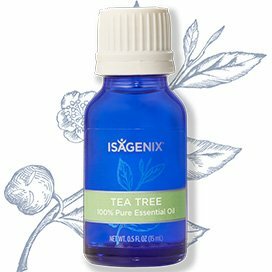 Isagenix’s Fresh blend features an invigorating, potent mixture of oils such as eucalyptus, peppermint, tea tree, lemon, grapefruit, lemongrass, thyme, and rosemary. This powerful mixture has numerous applications and benefits. Although Fresh is not suitable for internal consumption, it is wonderful when used topically or aromatically. It has a powerful calming effect when diffused at bedtime. Consider adding several drops to your diffuser to help promote a calm, relaxed atmosphere. TIP: Topically, it is excellent for helping to manage cough or cold systems. Try applying a few drops (diluted with Isagenix’s Coconut Application Oil) to the chest to help relieve cough or cold symptoms or for a revitalising, uplifting experience.